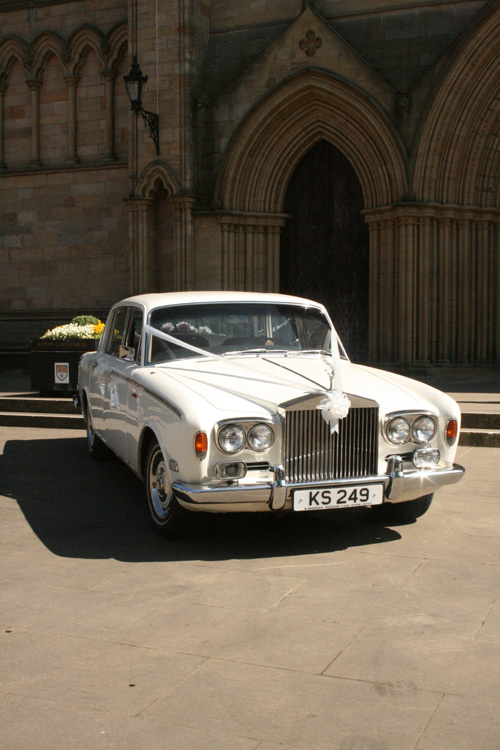 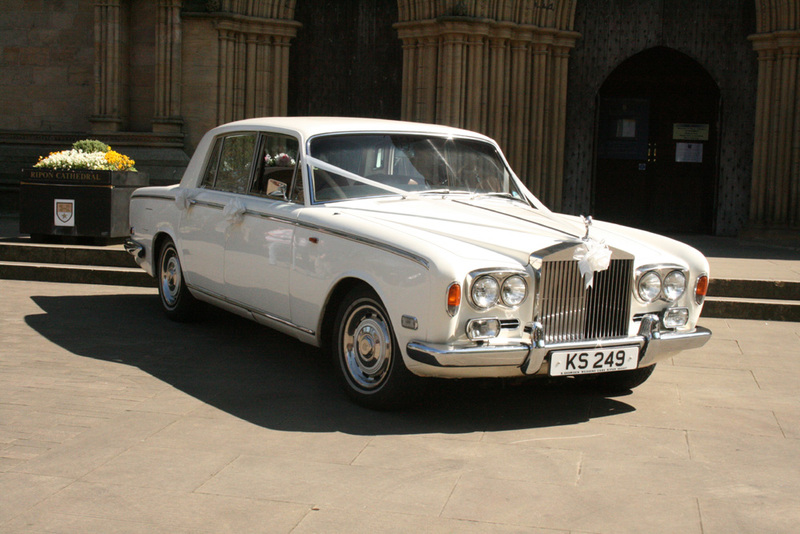 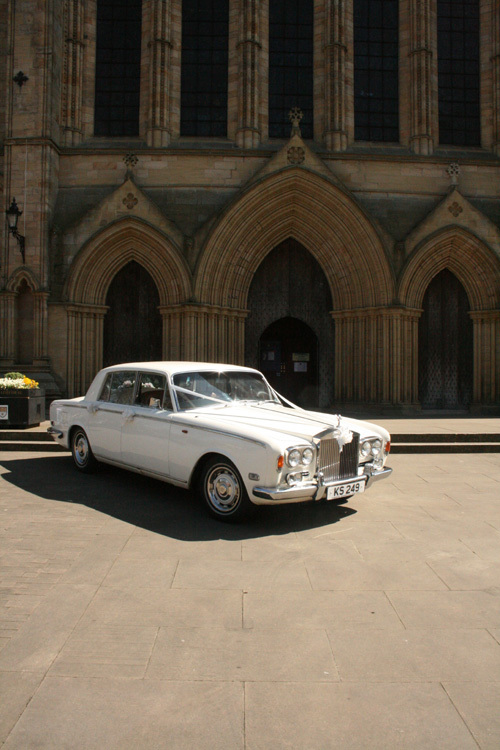 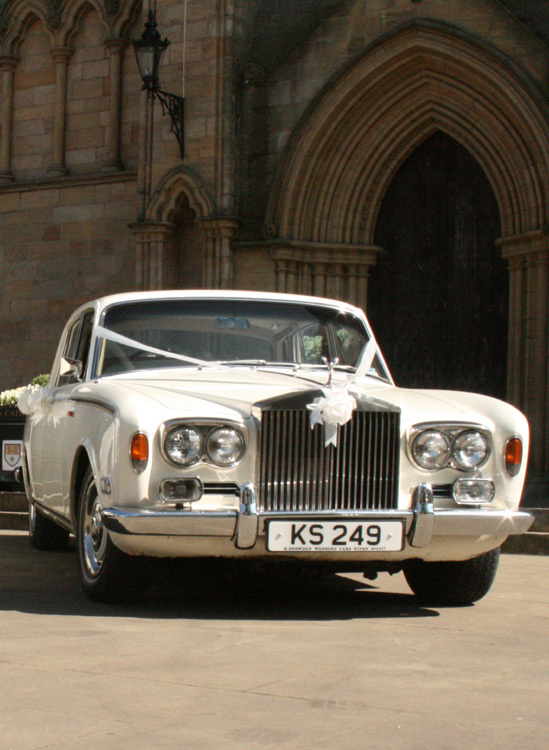 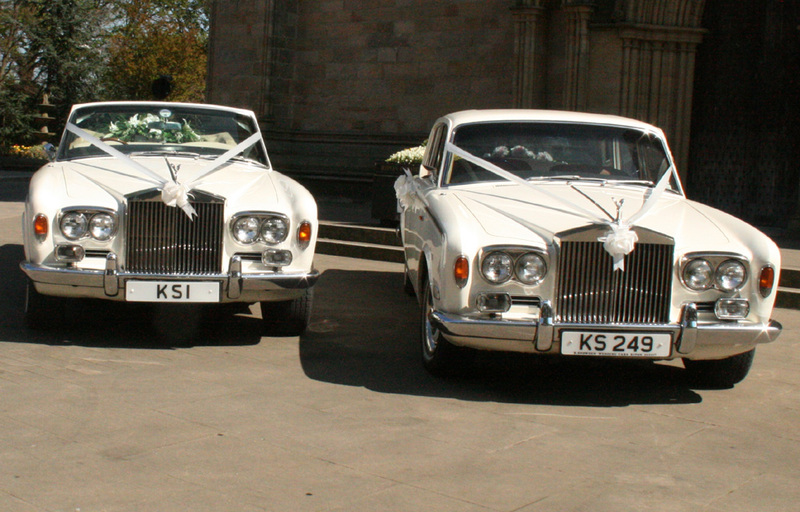 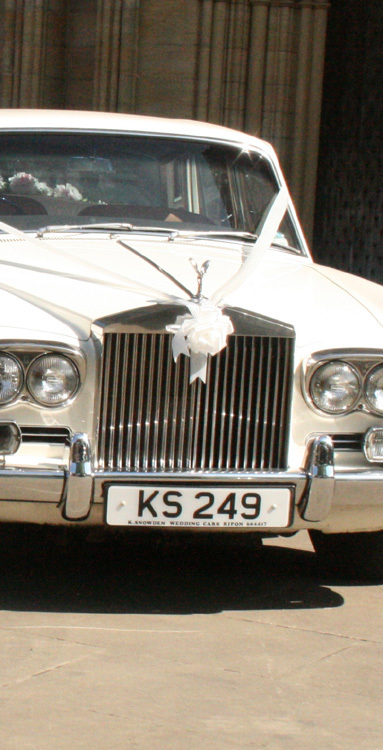 1972 Rolls Royce Silver Shadow. 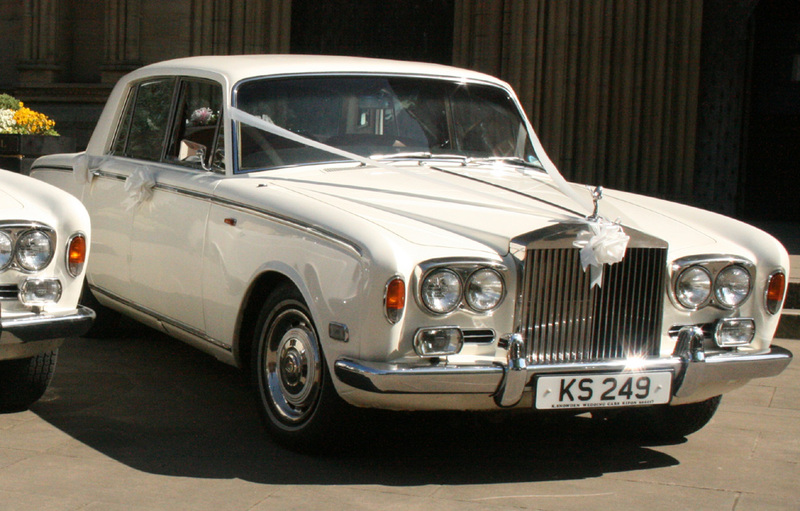 4-door saloon in Porcelain White Coachwork, Tan leather interior, ample room for accessibility. 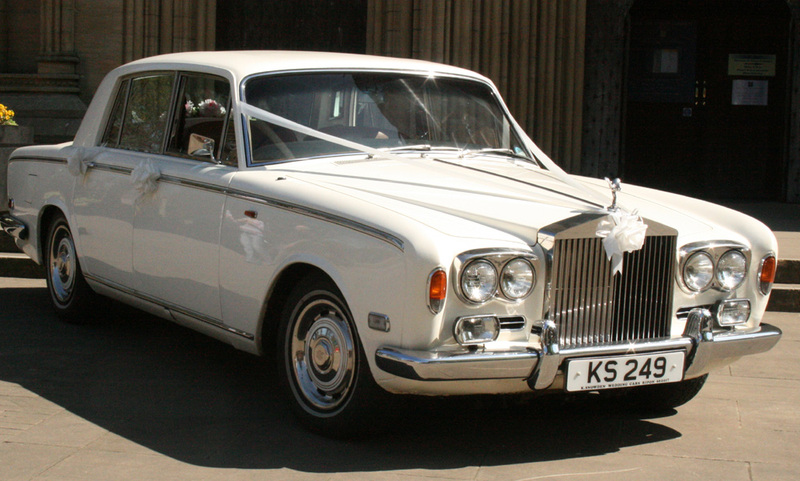 Used in the time honored tradition for your wedding day.